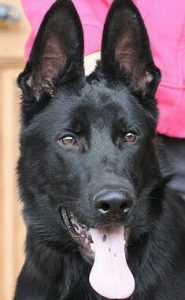 Steele is a solid black male from the best of best GSD genetics. 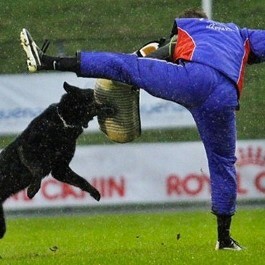 Steele is an extremely confident dog displaying very strong nerves. 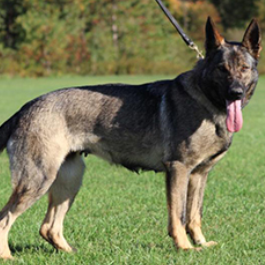 His dam, Rica, is from the very best old-school communist regime Czech Border Patrol line. 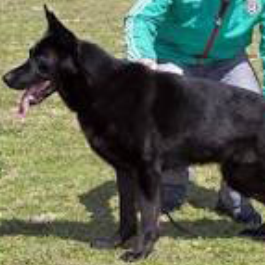 These dogs were bred under very tight control at government owned/run Pohranicini Straze CS kennels. They were bred to be strong physically and to have rock-solid nerves. Steele shows these very desirable characteristics. 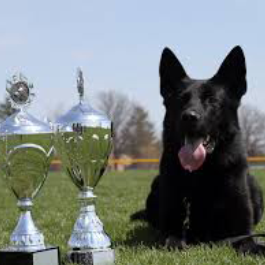 His sire, Iron von den Wolfen, was the 2014 USCA National Working Dog champion. Iron represented the US at the 2014 World WUSV IPO Championships. He tied for the "high protection" score with Irmus Galan Nalag. Iron went on to win 1st place overall at the 2015 WUSV. 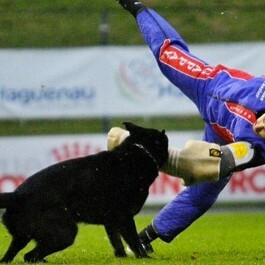 He throws large, impressive dogs. Steele is very calm in the house and in a vehicle. 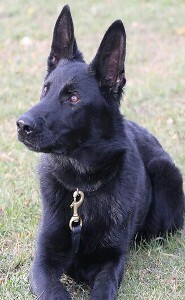 Still training towards his IPO title, his protection work impresses all. Much thanks to Christina for Steele.